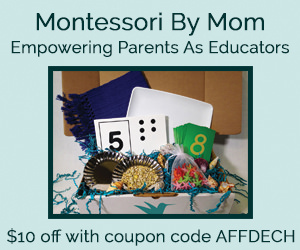 Maria Montessori said, “Education is the best weapon for peace.” As parents, educators, and/or caregivers, we need to to help make peace education a natural part of our children’s lives. 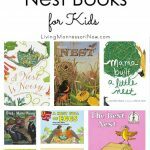 Today, I’m sharing some of my favorite peace books for kids. 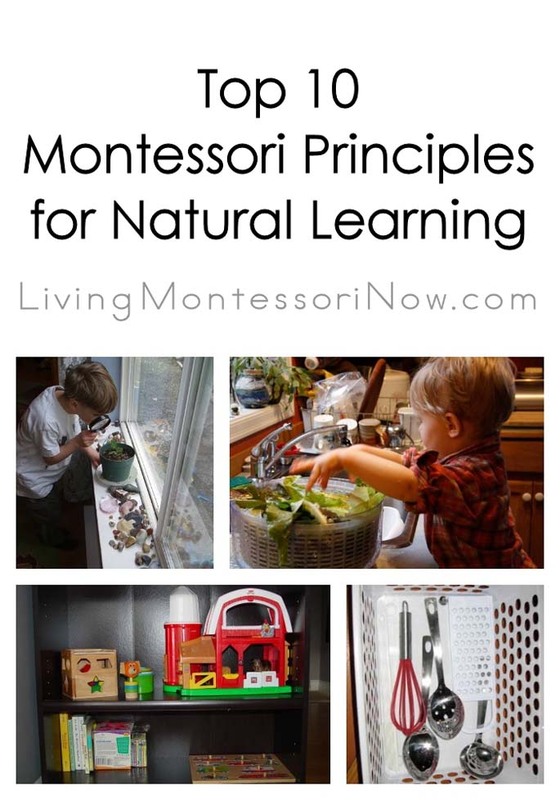 Montessori-friendly books use photos or realistic illustrations. They don’t have talking animals or a lot of fantasy. But many books that have fantasy and talking animals are wonderful books, and I love sharing them with children who understand the difference between fantasy and reality. 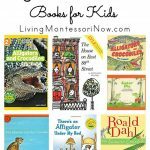 I typically have a majority of Montessori-friendly books for a theme, but I include a variety of books that might not be Montessori-style books but that are simply lots of fun or are classic books that I consider an important part of cultural literacy. 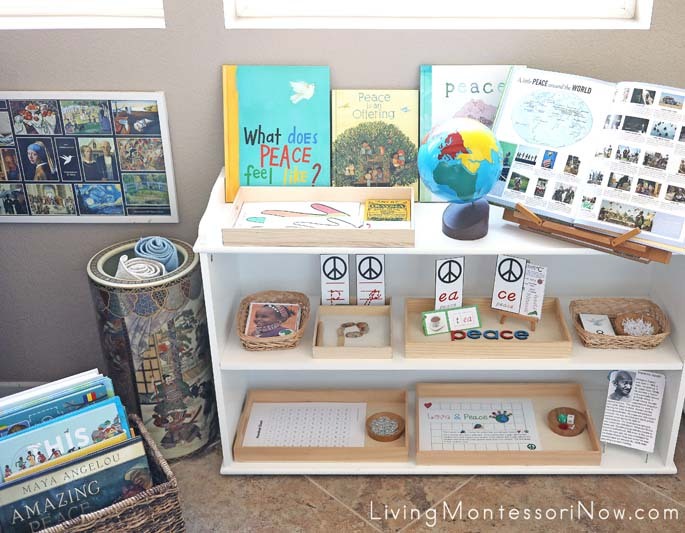 Many peace books are naturally Montessori friendly. 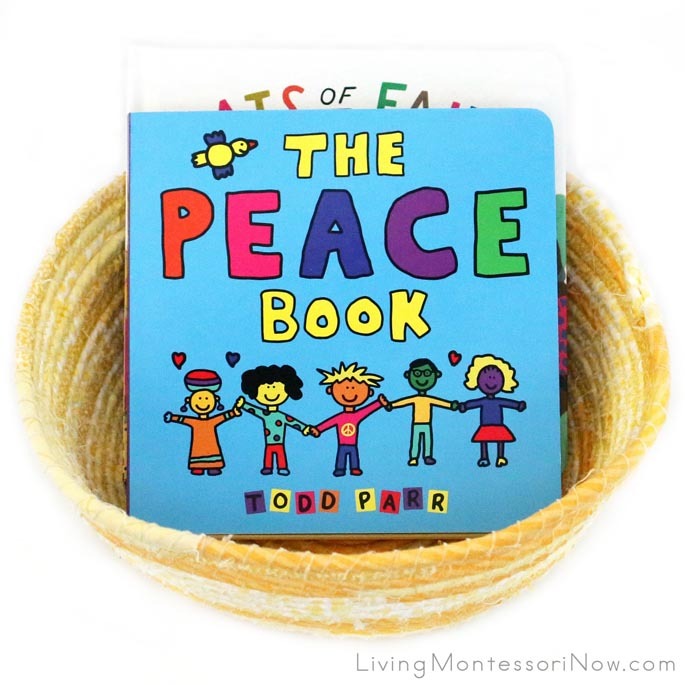 I have a wide variety of favorites, so just choose the peace books that will speak to your children or classroom. 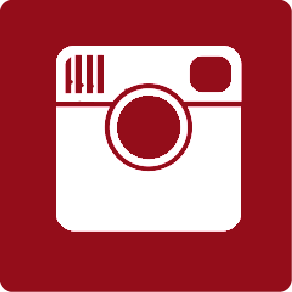 Next week, I’ll publish a post at BitsofPositivity.com with my favorite mindfulness books. Note: This is a LOT of books. Of course, you don’t need them all. It really depends on your child’s age and what specific part of a peace-themed unit you’re studying. 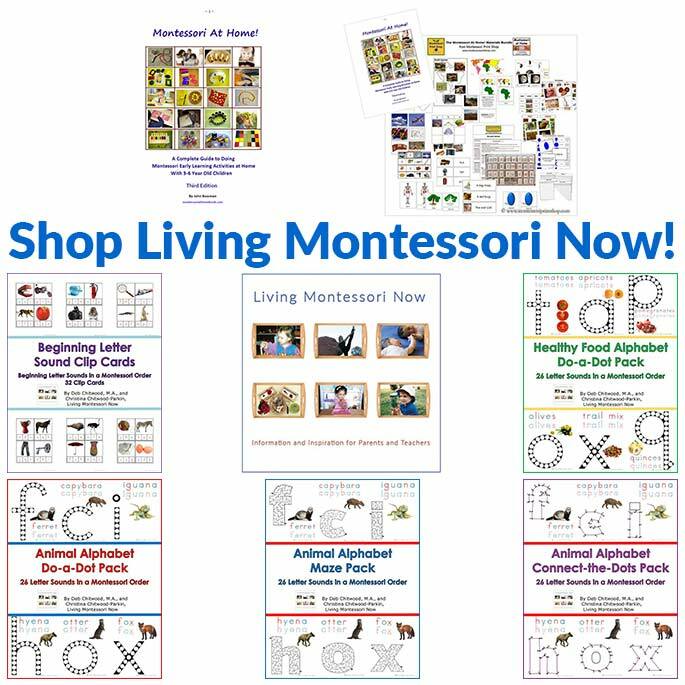 Many of these books work for a variety of themes, so they aren’t just for a peace tray or unit. I’ve included books on religion, geography, and multiculturalism because they’re all important in peace education. As I’ve said before, If you’re doing a unit study, you don’t need to include babies and toddlers. They really won’t care if their books fit with your current theme. 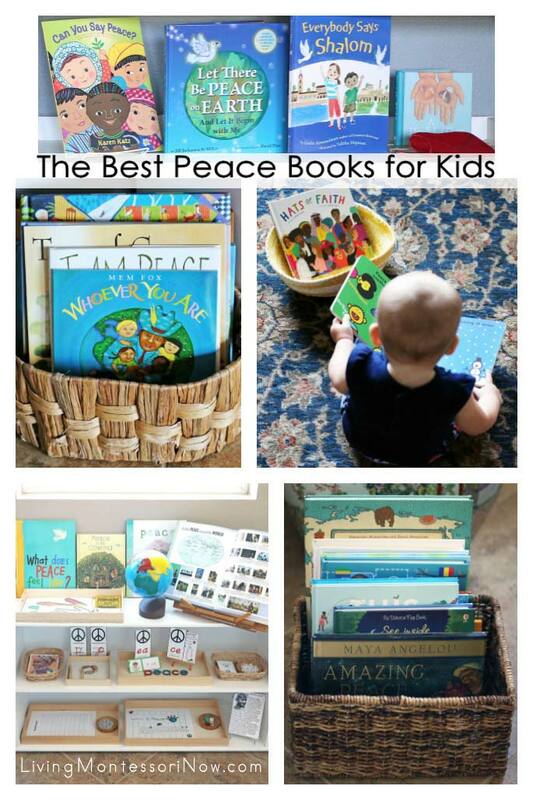 But I do like having some peace books for babies and toddlers because it’s never too early to begin education for peace. Having baby or toddler books about peace will also encourage your older sibling to read to your baby or toddler, which can help them both. 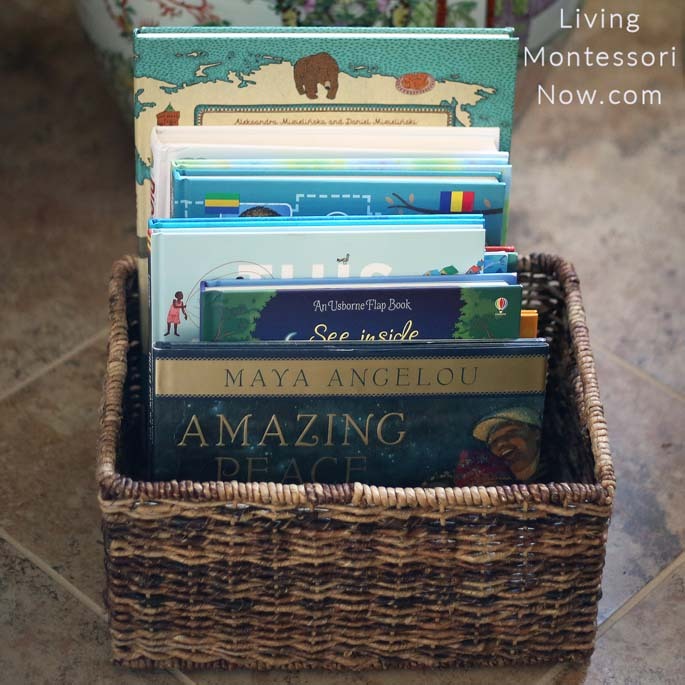 I typically keep the baby and toddler books for a unit in their own book basket for my grandbabies. Both 11-month-old Sophia and 8-month-old Caleb love this book basket! 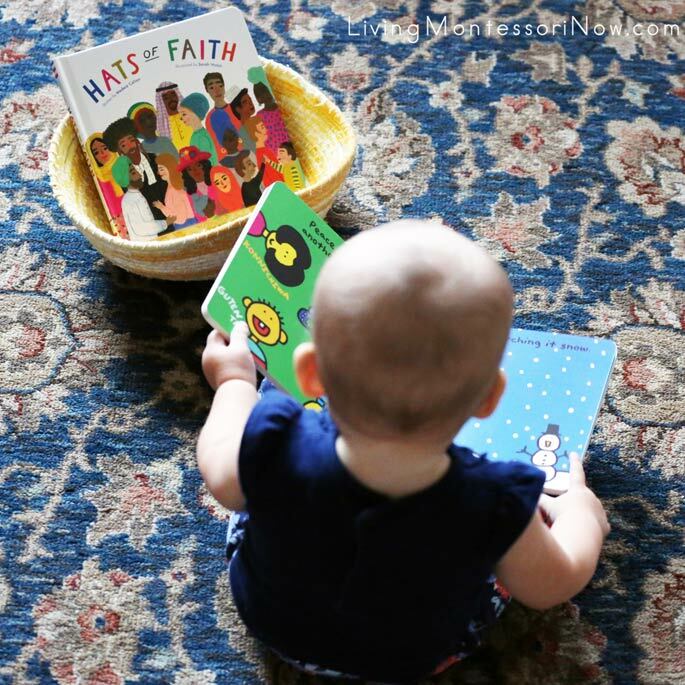 For our peace unit, I put two board books in the book basket: The Peace Book and Hats of Faith. The Peace Book is recommended for ages 3-5, but I like the board book for babies and toddlers. 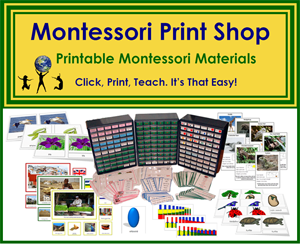 It has a few things that you won’t find in a Montessori-style book, such as the page that says, “Peace is giving shoes to someone who needs them,” with an image of a centipede wearing shoes. 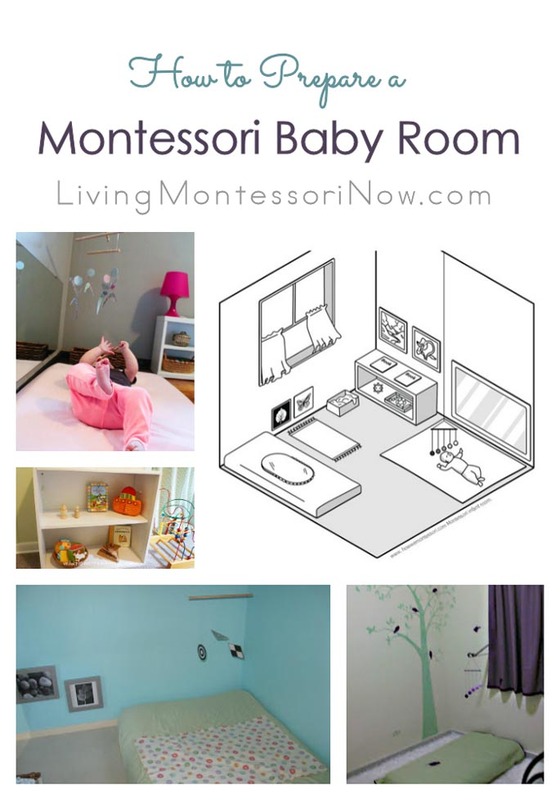 The short, simple descriptions, though, make it fun for babies through preschoolers. Babies Like Peace Books, Too! Here’s sweet Sophia at 11 months looking at The Peace Book. Sometimes, her 5-year-old sister, Zoey, shares books with Sophia and her 8-month-old cousin, Caleb. Sometimes, my daughter, Christina, or I read to the babies, and sometimes they just enjoy looking at the books. I love having the book basket available. It gets used a lot! 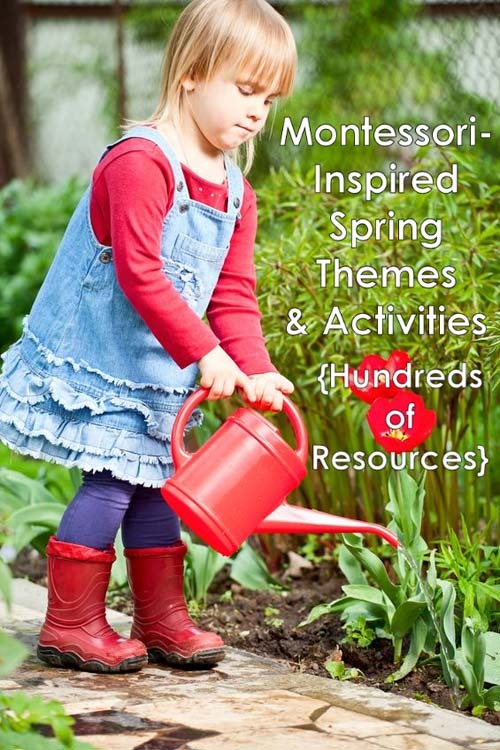 I have a post with free peace printables and Montessori-inspired peace activities. 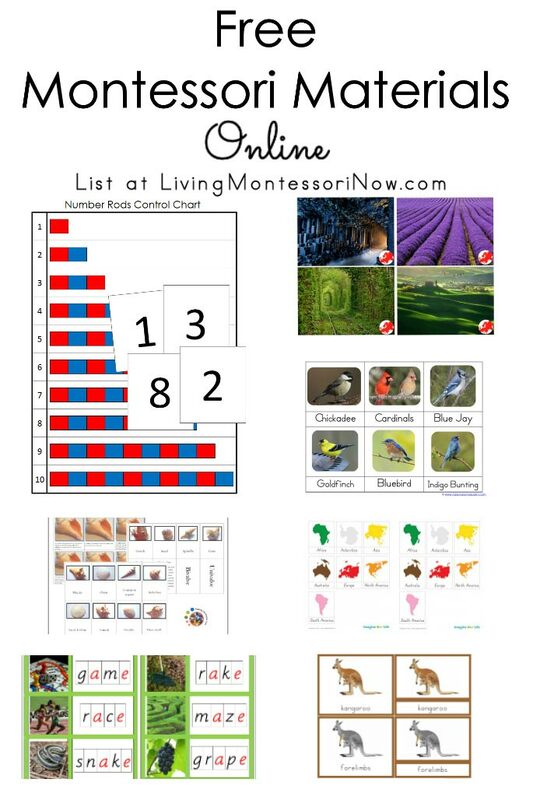 I have so many beautiful peace books for this unit! Peace Is an Offering is a lovely book about creating peace and being a peacemaker. 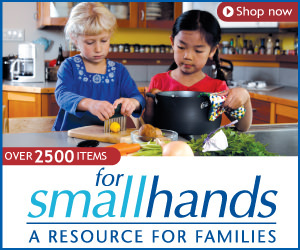 It’s recommended for ages 3-5 but includes deeper issues of helping a friend who’s experienced loss. 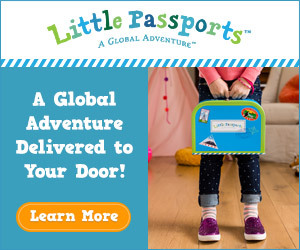 Because of that, you’ll want to consider if it’s age-appropriate for your unique child. 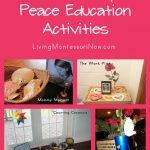 Peace uses lots of wonderful peace quotes along with intricate illustrations to talk about what is needed for there to be peace in the world. 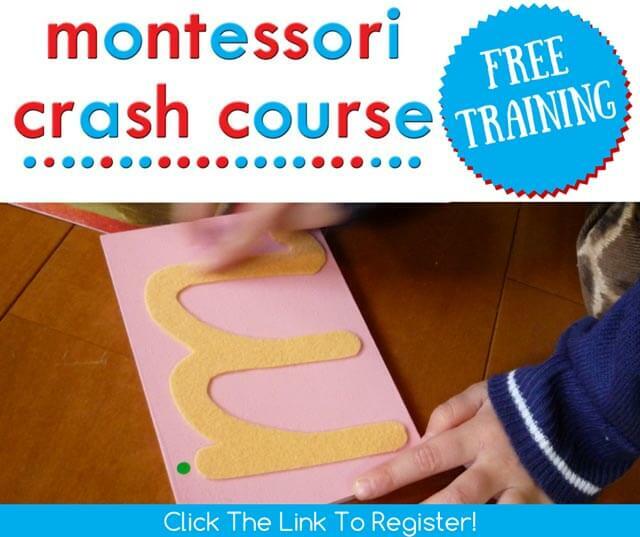 It’s recommended for ages 4-8. A Little Peace by Barbara Kerley is one of my very favorite peace books. It’s a National Geographic children’s book with amazing photographs and few words. At the back of the book, there’s a map with the country and explanation of the activities in all the photos. 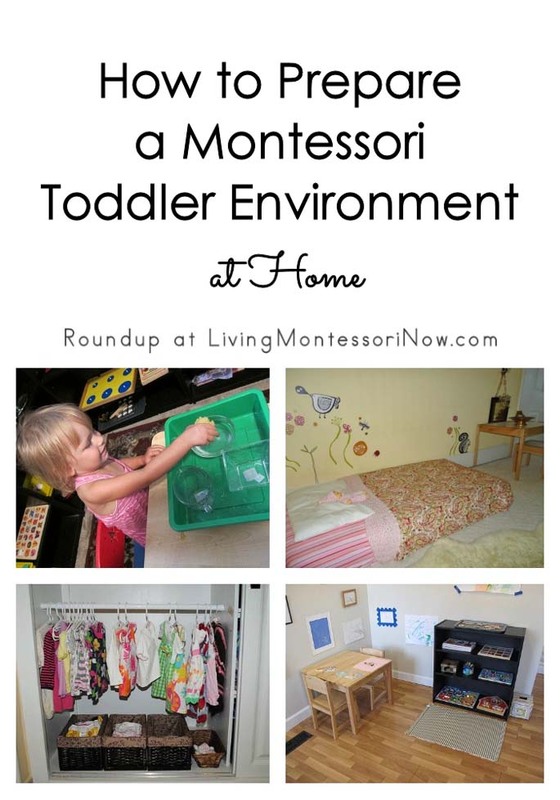 The book is wonderful for toddlers on up. I often like to place a small globe (such as the Montessori continents globe) beside the book as an added geography activity. 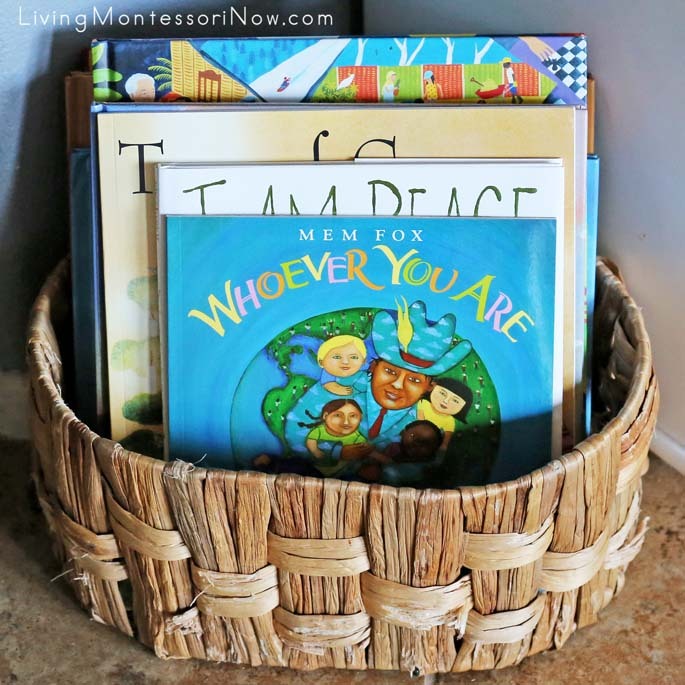 This book basket has peace and world-themed books (along with a variety of books we use regularly). I think world-themed books are essential for a peace unit because knowledge and understanding of differences takes away fear and promotes acceptance and peace. I’m in love with Amazing Peace: A Christmas Poem by Maya Angelou. It’s recommended for ages 6 and up and is a beautiful, moving poem that brings up deep theological issues ending with hope and the promise of peace. Adults will appreciate it as much if not more than children. Sacred Places is another book to help children get a better understanding of religions around the world. It’s also great for a geography study. The book is recommended for grades 1-6. 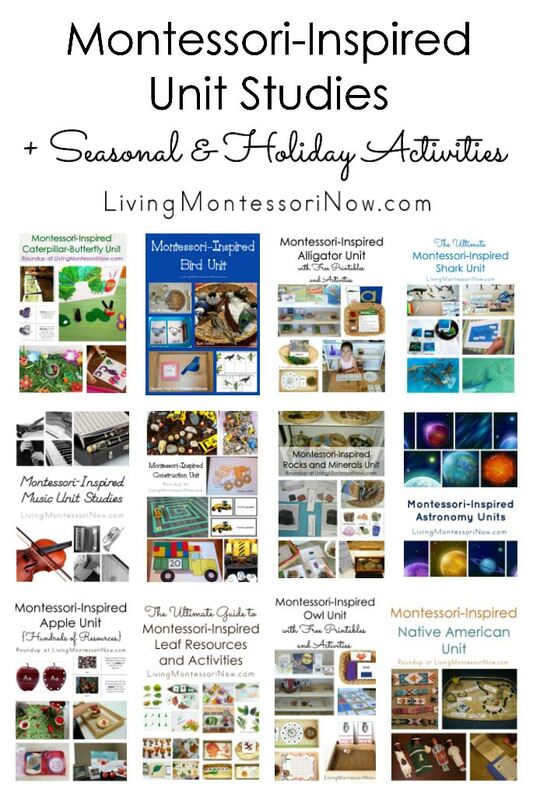 In my post “Promote Peace with Montessori Holidays Around the World Resources,” I share Children Just Like Me: Celebrations! for introducing a variety of cultures. 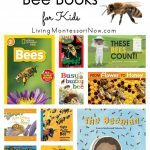 National Geographic books are some of my favorite nonfiction books, and I love the series of National Geographic Kids Holidays Around the World books. I have many of the books in the series and use them for a variety of holidays. The Travel Book: Mind-Blowing Stuff on Every Country in the World (Lonely Planet Kids) is simply an amazing book to have available for any study of countries around the world. My 5-year-old granddaughter, Zoey, loves the Maps book. 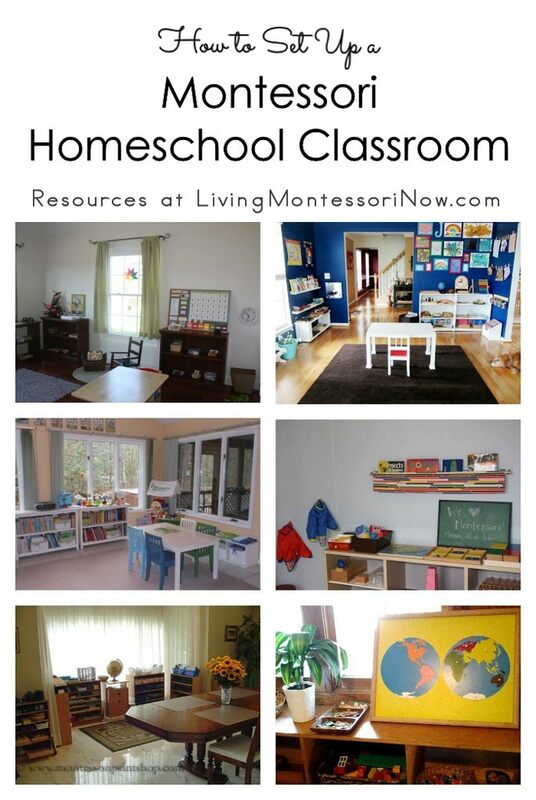 It’s a wonderful resource to have in any classroom or homeschool! 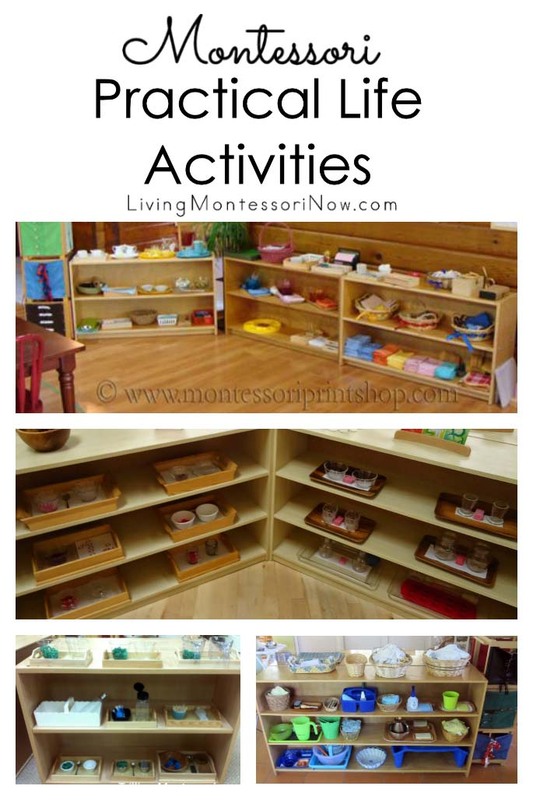 On the top shelf of my language and cultural area, I have a few more Montessori-friendly peace books. Can You Say Peace? 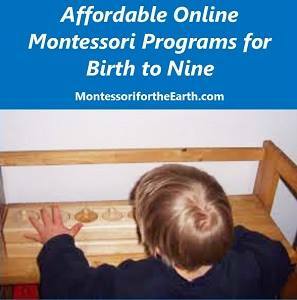 is recommended for ages 4-7, although 2-5 year olds would probably find it most interesting. It shows children around the world and tells how they say peace in their own language. I love sing-a-long books, and Let There Be Peace on Earth: And Let It Begin with Me (Book & CD) is a beautiful song to be made into a book. 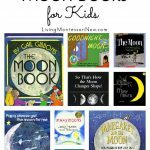 The book is recommended for ages 6 and up, although I think it’s wonderful for toddlers on up! Everybody Says Shalom is a fabulous book! It’s a celebration of the word “shalom” along with giving lots of information about Israel. I’m using it for both Hanukkah and Lent studies. The book is recommended for ages 3-7. 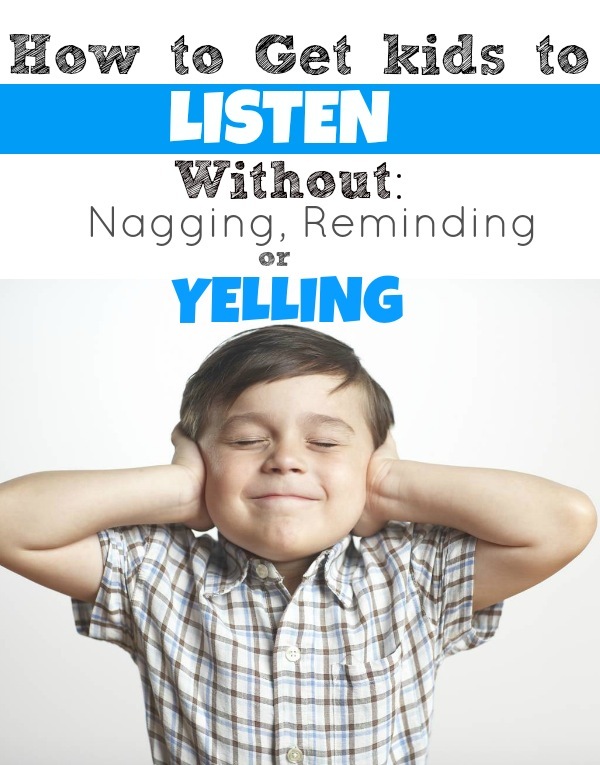 A Handful of Quiet can be used in a number of ways. It’s technically a mindfulness book, but I often have a mindfulness book with our peace tray/shelf. 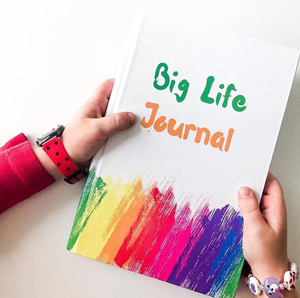 The book is recommended for ages 4+. 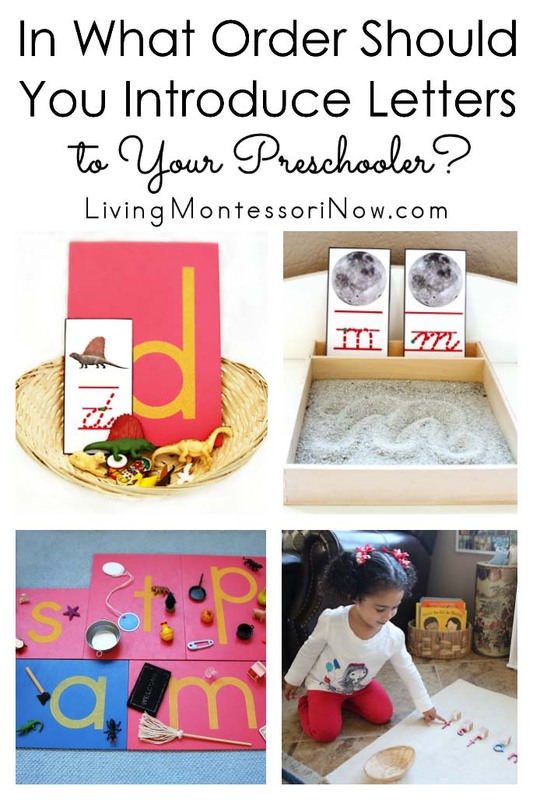 Sometimes, I’ve included inspiration stones and drawstring pouch from Montessori Services with the book. Zoey loves that pouch and stones. Right now, I have a larger drawstring bag with larger polished rocks to fit the book’s meditation themes of flower; mountain; calm, clear lake; and big blue sky. The book also has directions for making your own drawstring bag and finding special meditation stones. Mindfulness books that will be in my post next week at BitsofPositivity.com. 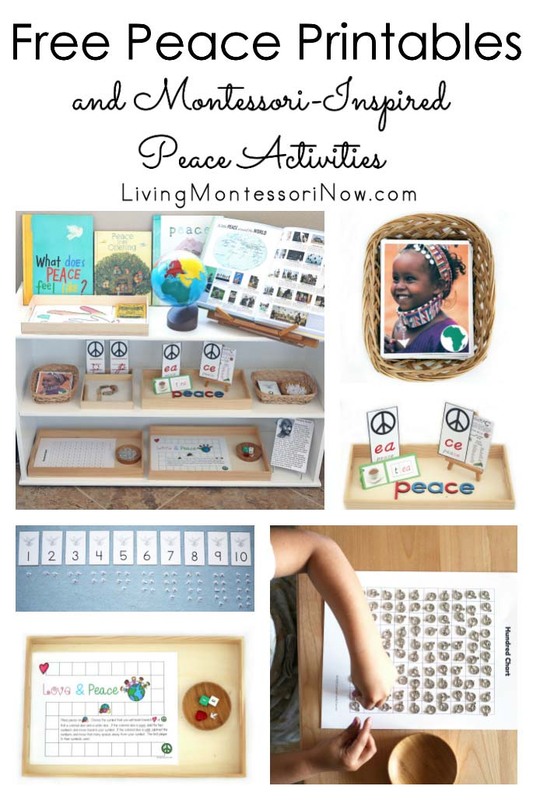 Be sure to check out the peace resources and peace activities at Montessori Services for many wonderful products that are perfect for a peace tray, shelf, or table. 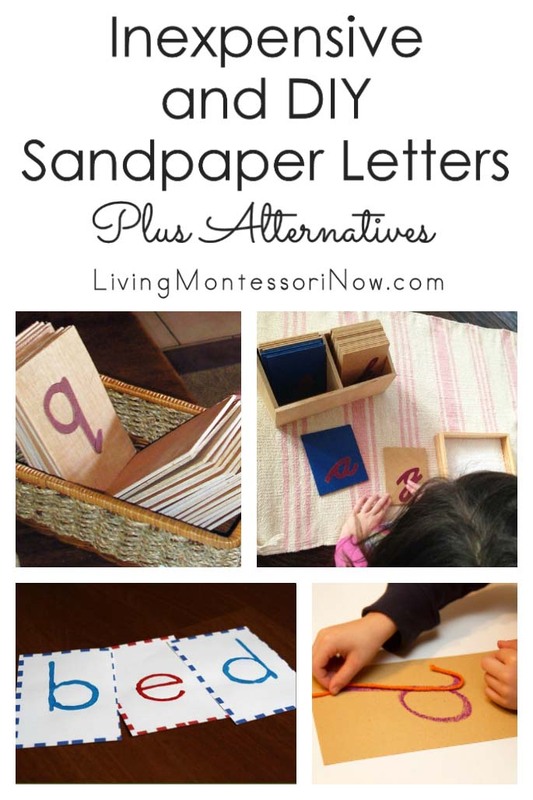 You’ll find lots of ideas and resources in my post on how to prepare a Montessori peace tray. Whoever You Are is a simple introduction to the idea that people are different around the world, but we’re the same in the most important ways. 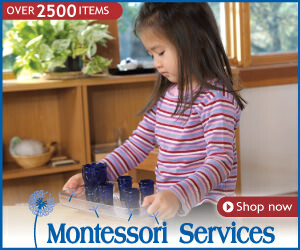 It’s recommended for ages 4-7, although I think it’s best for ages 2-5. I Am Peace: A Book of Mindfulness is both a mindfulness and peace book. It shows how when we have peace within, we can share it with others. The book is recommended for ages 4-8. For ages 8-12 or so, I recommend Sadako and the Thousand Paper Cranes. The Colors of Us is one of Zoey’s favorite books. This is a book that truly celebrates diversity. 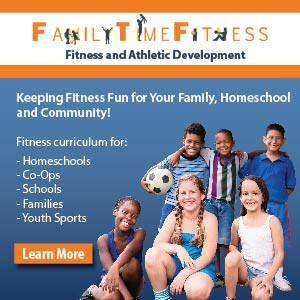 It’s recommended for ages 4-8. 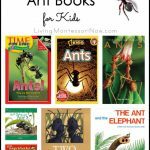 The Barefoot Book of Children is filled with images and information about children around the world. It again shows that we’re more alike than different. My favorite lines are these: “Every life is a story. 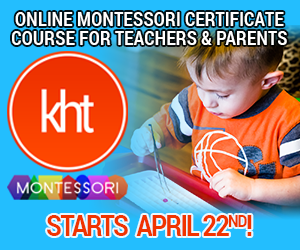 It’s easier to understand someone when you know their story.” The book is recommended for kindergarten through grade 3, although I think younger children, especially 3 and 4 year olds can enjoy the story and pictures without all the details at the end. All the Colors We Are/Todos los colores de nuestra piel: The Story of How We Get Our Skin Color/La historia de por qué tenemos diferentes colores de piel celebrates the variety of skin colors. 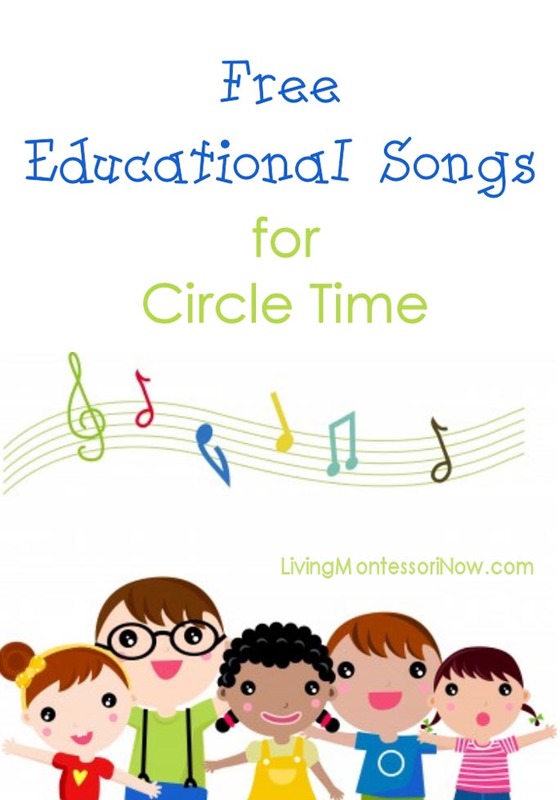 This book is rich in information and is written in both English and Spanish. It helps children understand why we have the color of skin that we do. It’s recommended for ages 3-6. The peace rose is a lovely tool for conflict resolution. 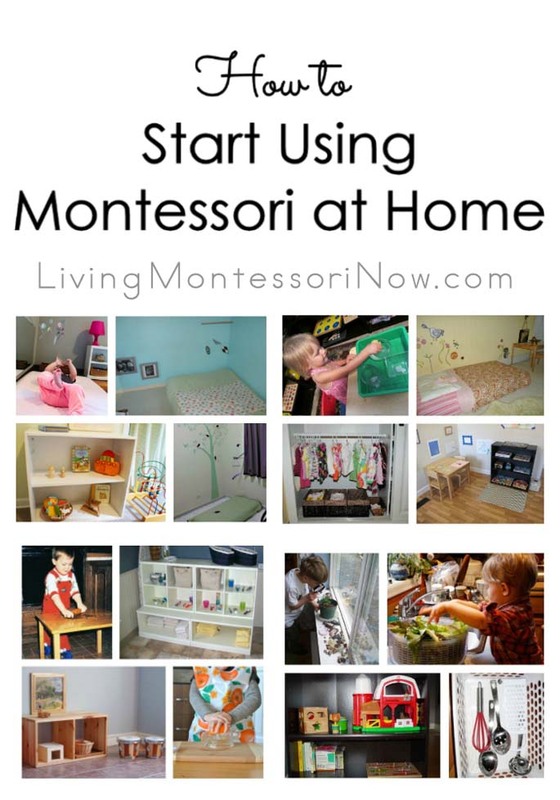 It’s most commonly used in Montessori classrooms, although it’s wonderful in homes with siblings as well. 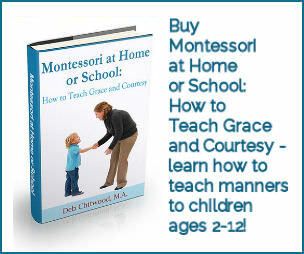 It’s perfect for almost any situation where there could be conflict between children. I don’t have the book The Peace Rose because I don’t have a classroom, and Sophia and Caleb aren’t old enough to use the peace rose yet. I plan to get it when my grandbabies are old enough to use the peace rose to resolve any disagreements. 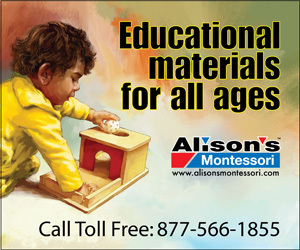 The book is recommended for children ages 2½+. 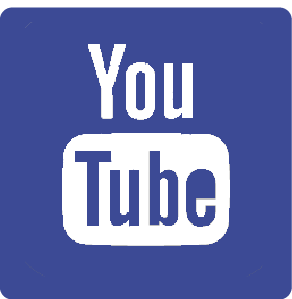 The following video has a reading of the book along with helpful ideas on how to use a peace rose. 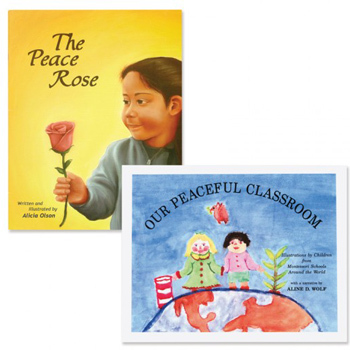 The Peace Rose and Our Peaceful Classroom are available as a Classroom Peace Book Set (less expensively than on Amazon) from Montessori Services. 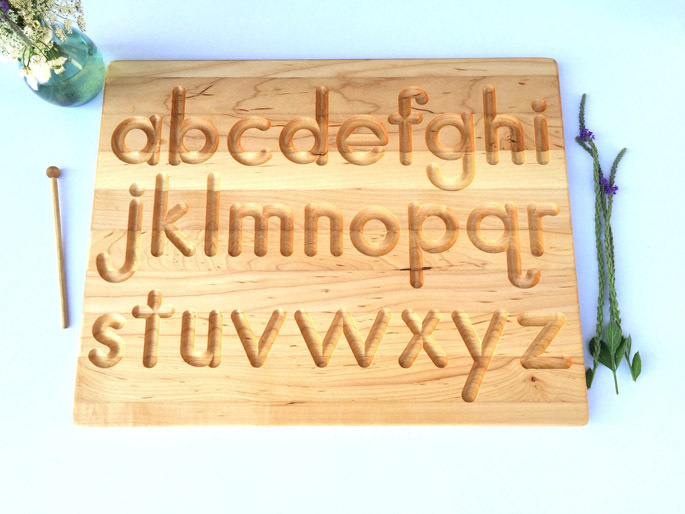 They’re a wonderful classroom set for ages 2½+. 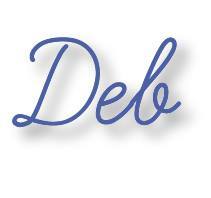 All Are Welcome is a fabulous book of inclusion … ideal for peaceful classrooms. It’s recommended for ages 4-8. I’d love to see classrooms around the world sharing this book with their students. 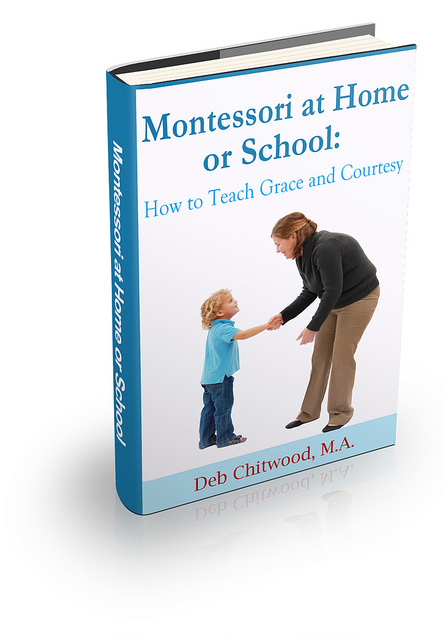 I don’t own the book since it is best for classrooms. I do plan to check it out of the library for my grandkids to emphasize the importance of schools and other places welcoming all. I checked the San Diego Public Library, and all copies are in use right now. That’s a good thing! I’m including mindfulness resources in our peace unit. They’re helpful in peace education because peace within is a first step toward spreading peace. Again, next week at Bits of Positivity, I’ll have a post with my favorite mindfulness books. 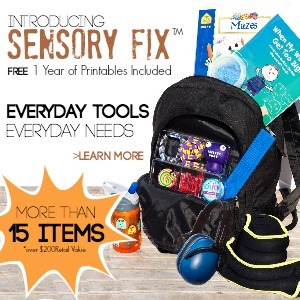 I hope you found some resources here that are perfect for your family and/or classroom. 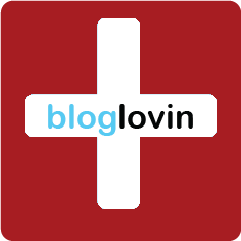 Honestly, I totally love your blog because of it informative and has objectives.